Welcome To SoCal Trux! San Diego's ONLY custom 4x4 truck and SUV shop! SoCal Trux doesn’t just help you buy a truck, we get you into your DREAM truck. 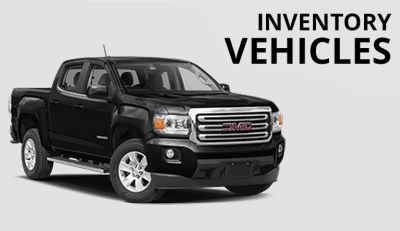 We source the highest-quality vehicles and parts available and spare no expense in making our trucks road OR off-road ready. Whether your goal is to commute to work and home, to tow your toys to the desert or beach, or for a weekend off-road trip, our trucks are the capable machines you’re looking for! 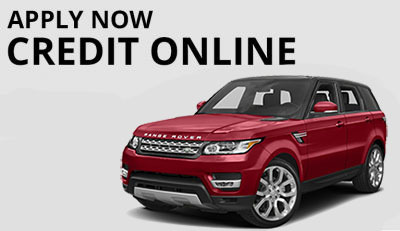 EASY Financing available; Good, Bad, or NO Credit! ALL Trade-Ins are Welcome! Bought my Jeep Wrangler from these guys and I'm extremely happy with it! The service is impeccable. Jonathan worked with my mom & I, on getting the best deal. I highly recommend this dealership! If I could leave more than 5 stars I would. AMAZING service. Jonathan is great at what he does. I recommend this place 100%. Thank you for the great service!!! Saw a truck online, came in looking to finance. They were able to land me a great deal as a first time buyer! Definitely recommend this dealer if you're looking to buy a truck. After going to 7 other used car/truck dealerships i finally found Socal Trux and i couldn't be any happier with the Silverado i bought from these guys! Jonathan isnt the typical salesman. He walked me through the whole truck before buying. test drove went good. He took his time finding the best financial plan for me as well. Picked it up the next day. Jonathan's partner even came out completely detailed the whole truck. The staff is also very friendly and good at what they do. I would definitely recommend this place to anyone. Great owner! Felt right at home when we walked up to Jonathan( the owner). This place has the best trucks and SUVs to choose from and he sells them all with the best rims and tires at a fair price. We had such a hard time to figure out which truck we wanted since he had such a great inventory to choose from. I would recommend this place to my family and friends! Bought a 06 Nissan Titan from Jonathan ! He's amazing and so knowledgeable about everything in the shop. He really worked with me due to my credit but was able to get me financed with the best deal possible. And trust me I worked at a bank funding auto loans. I know a good deal. The truck came with everything I could have wanted. Lifted, off road tires, tow package, leather seats (heated) and he threw on a grill guard for the low. His boss Marco is awesome as well. He does everything right. I will definitely refer my friends and family here. It's not a big lot but their variety is impeccable. If they don't have it,they will get it no problem. Can't wait to buy again from there! These guys are the meaning of teamwork make the dream work !!! Wife and I came in just looking (not expecting to be able to buy due to bad credit and what not ) went to a few other dealerships and was always told it wasn't going to work and basically just showed us the door. But when we got to SoCal Trux we were introduced to Johnathan and Marco who worked with us all night to get us into a truck with a great deal !! Thanks guys !! GREAT PLACE! GREAT SERVICE, KNOWLEDGEABLE, GREAT PRICING, GREAT SELECTION! Jonathan was fantastic! No pressure, new every detail of the Tacoma Tacoma 4WD we bought, in fact all his trucks on his lot are immaculate! All are lifted and you can tell Jonathan takes pride in every detail before the truck goes on his lot! I felt like I was buying from an honest family member. I definitely would recommend SoCal Trux to anyone looking for first class buying experience! Love it!! Thanks Jonathan!